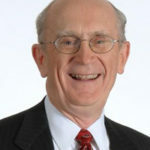 Gerald (Jerry) E. Buckwalter is Northrop Grumman’s Director of Strategy based in McLean, Va. In this capacity, Mr. Buckwalter serves as Northrop Grumman’s chief strategy person for homeland security solutions. • Information analysis and intelligence gathering as they relate to national security. •Recipient of US Army Special Service Commendation for technical analyses performed. AvinStream, LLC, a company specializing in remote wireless security management systems; and was a Vice President and General Manager for Securicor’s United States-based security business. 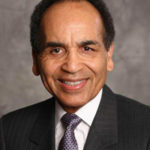 He also held positions for Johnson Controls World Services, Inc., serving as Vice President and General Manager, Municipal Division, and as Vice President of Marketing for the Federal Division; and for Lockheed Martin, where he served as Program Development Manager for the Electronic Systems Division. Jerry started his career as an engineer with the U.S. Army’s Communications and Electronics Command. Mr. Buckwalter earned a degree in Physics from Monmouth University and has extensive continuing education at George Washington University and the Massachusetts Institute of Technology.